Japanese Men's Reversible Satin Kimono One Size M L XL Black-Dark Blue. 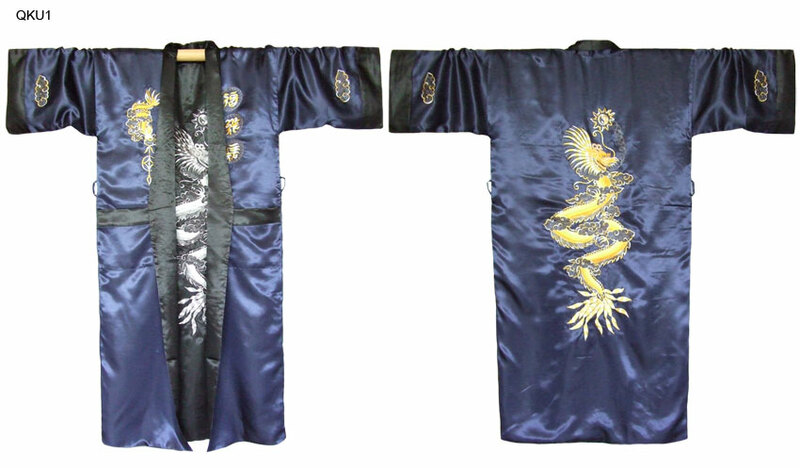 Exclusive traditional japanese kimono with dragon print. 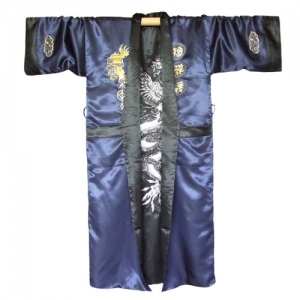 Top quality, authentic 100% black and blue reversible Satin.